I know - day three already. And we've hardly started. Yesterday I was offering some Father's Day gift boxes courtesy of Hotel Chocolat, today it's something a little more relevant if dad's a blogger (or regular computer user). But more of that anon. 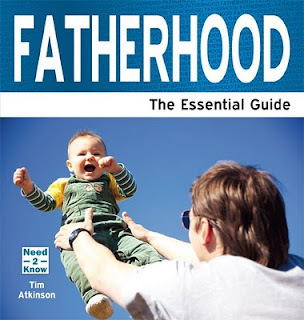 Because there will be some amongst you that haven't the faintest idea what all this is about, why I'm giving stuff away each day and blathering on about being a dad. Yes, the book of the blog is upon us and you can read all about it (and enter a giveaway) here and here, where both Hayley and Carol (respectively) are giving away a copy. You can also be in with a chance of winning one by reading my Parent Panel post on the Baby BornFree blog. But if you're unlucky enough not to win one you could always consider buying one. After all, it'd probably make the perfect Father's Day gift, especially for a new dad. But now, a gadget for the PC addict. You know what happens, you boot up the old computer, sit down with a cup of tea or coffee then get called away and - hours later - find the computer deep in hibernation and the beverage beyond resurrection even in the microwave. Well, no more. 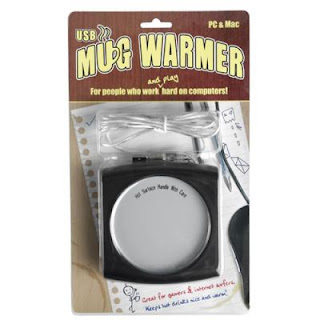 Plug this little thing into your USB port and your drink will be kept warm whatever happens. And - thanks to Thomas at the DotComGiftShop - it could be yours for the price of a few words in the comment box below. Alternatively, a tweet will do. Make sure to include the #FathersDayFestival hashtag so I can keep track of you. And then come back tomorrow for another great giveaway.